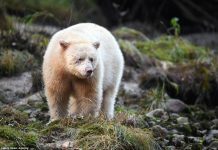 Polar bear weight varies with the season because of the availability of food sources. The adult males are generally heavier than adult females. 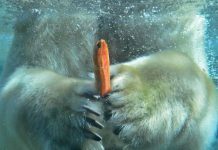 Ursus maritimus are sexually dimorphic in fact one of the most dimorphic mammals in the marine world. 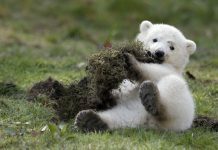 Polar bear cubs weigh less than a kilogram but male cubs are greater than female cubs even at birth. Now let us study how much do polar bears weigh? A full grown polar bear weighs as much as 350–700 kg (772–1,543 lb) but the average weight measure around 385 to 410 kg (849 to 904 lb). Males attain this much weight when they are 10 years of age. Kodiak bears are slightly heavier than adult white bears. 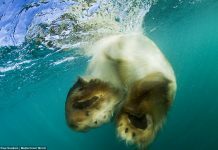 In the Beaufort Sea, males average 450 kg (992 lb) on maturity. They are nearly twice the weight of females. The heaviest male polar bear ever recorded was 1,002 kg (2,209 lb). The bear was shot in northern Alaska (Kotzebue Sound) in 1960. Read More: How Big is a Male Polar Bear? How Much Does a Female Polar Bear Weigh? The weight of an adult female is one half of the male’s body mass. Females weigh around 150– 250 kg (331–551 lb).The maximum reported weight in females is 260 kg (573 lb) but it is extremely rare. During pregnancy adult females put on too much weight almost equal to adult males’ mass. Females gain as much as 500 kg (1,102 lb) weight when they are pregnant. During pregnancy adult females put on too much weight almost equal to adult males’ mass. Females gain as much as 500 kg (1,102 lb) weight when they are pregnant. Females attain sexual maturity at 6 years of age. Soon after age they will put on much weight because of pregnancy. Extra weight is not because of cubs but due to the extra fats which she stored. She must store excess fats in order to spend days in the without eating. The female will come out of den in the spring season. How Much Does a Polar Bear Cub Weigh? 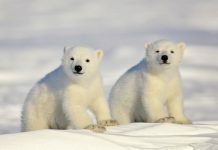 Main Article: How Much Does a Baby Polar Bear Weigh? The polar bear cubs weigh 1 – 1.5 pounds (0.8 kilograms) at birth. Females are smaller and less heavy than males at birth. When the cubs reach 90 – 100 days age they leave the den. At this time they weigh up to 33 pounds (115 kg). A cub born in the Alaskan zoo averages 18 pounds (8 kg) and the bear was 90 days old. How Many Pounds Does a Polar Bear Weigh? Polar bears weigh around 772 to 1,543 pounds but most bears weigh less than 1,000 pounds. 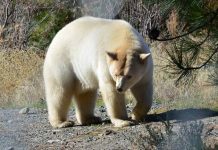 The heaviest polar bear ever recorded at the Guinness Book of World Records measured at 849 to 904 pounds. The average weight of a female polar bear in pounds is about 573 pounds.